To copy the nodes database from a remote host and make it available to other nodes to copy from my node, I use the command file at the bottom. Here <REMOTE-NODE> is the DECnet node name / address of the host I copy my node database from. 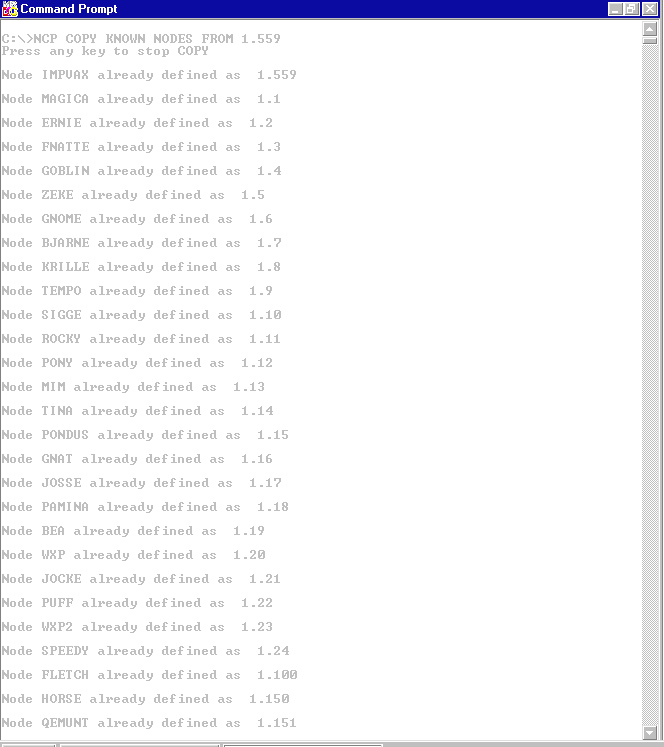 After copying over the remote node database from another server (a PDP-11/24 running RSX-11M Plus that serves HECnet the world-wide hobbyist DECnet in this case), I basically copy SYS$SYSTEM:NETNODE_LOCAL.DAT and SYS$SYSTEM:NETNODE_REMOTE.DAT to SYS$COMMON:[SYSEXE] and grant them world-read permission. I also played around with enabling the NML proxy before running the commands in the DCL command file at bottom. I am not sure if I had enabled the NML proxy during installation of DECnet Phase IV and if these were required, but just doing these did not solve the problem. They may be required part of the solution, though. 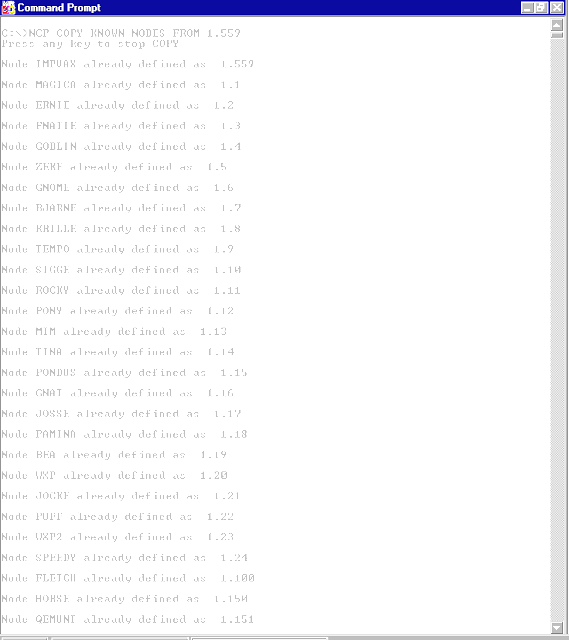 A subsequent NCP LIST KNOWN NODES command produced a full list of DECnet nodes copied over from IMPVAX. The DECnet-Linux Experience: It Works!